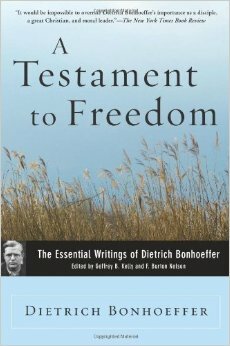 Re-reading Life Together by Dietrich Bonhoeffer, I have been re-staggered by his sheer realism of Kingdom perspective. Bonhoeffer is no religious hack mass producing religious visions of a utopian ideal – an ideal that only serves to wear thin before wearing out the Christian community. Of course, he admits there are those who come in among the community with a definite image of what it should look like and what it should be, and lo and behold, they often have the plans to enable the community to get there! This is liberating news, it is good news. The Church is not to succumb to man-made idolatries, nor is she to succumb to fads and gimmicks, visions and utopias that smooth out the necessity and urgency of being the Community of the Christian Church. God will not be mocked! Dreamy visions are an idolatrous plague on the Church, especially in the management controlled, targets obsessed West, because they become a means of assessment and measurement. That is why we often count success in numbers attending, or by the state of the bank balance. We are conditioned this way, and so we take it into church, devise plans and strategies, and so lose the heart beat of the Christian community. 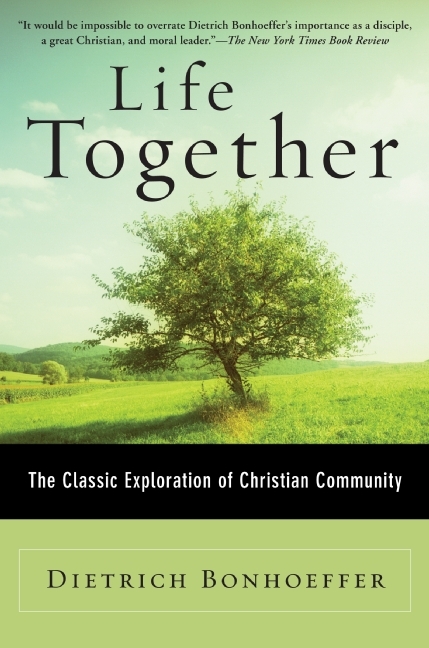 Bonhoeffer reminds us, the Christian community is not measured by trendy techniques ripped from a secular world, but by the continuing, nurturing, profoundly simple act of thankfulness. We cannot engineer the Kingdom of God among us. Pity the fool who tries. But what we can do is grow into the community by practise and communion. We are all bent on a self-centred, self-serving, self-focused love. It is precisely why we need saving. But when we bring this into the community, unchecked by the Word of God, we masquerade as angels of light among our brothers and sisters, when in Kingdom reality, we are shadowy fools neither under-standing nor standing-under the Word of Christ.